Congratulations to the newest members of the MLB Hall of Fame. The honor was bestowed among four players who will be immortalized in Cooperstown in the last weekend of July. The nominations included two first timer’s on the ballot in Chipper Jones (97.2%…remember we will never see a perfect 100% ballot due to writers having their own agenda. Example being the Cleveland writer who only voted for former Indians) and Jim Thome at 89.8%, who though hit most of his home-runs during the steroid era, was never even remotely linked to them. The other two joining them are Vladimir Guerrero (on his second ballot), who was once the fabled hero of the Montreal Expos, and Trevor Hoffman, close out what is an impressive list of inductees. Barry Bonds has become the face of the steroid era and will seemingly always be banished from the Hall. 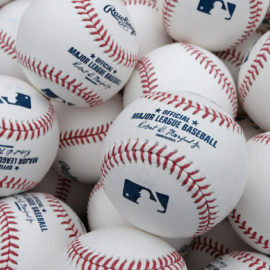 So many renowned cheaters are in the Hall, but not Barry because he broke two of the most hallowed records in baseball in Roger Maris‘ 61 single season home run record and Hank Aaron‘s career 715 homer mark. Roger Clemens was as feared on the mound as Randy Johnson but without the imposing build of RJ. Easily the pitcher you would have wanted to pitch the game, Clemens is linked to the evil Steroid era and you what that means…instant banishment. Despite there being much less evidence of his usage than there is on Mr. Bonds, he will forever join Barry on the blacklist. Edgar Martinez voters – the smart ones as I like to refer to them – look past his DH position and acknowledge his impact on the game. With all due respect to the closers in the hallowed Hall, if a predominantly one inning pitcher can get the ultimate recognition for his role in baseball, then it’s time Edgar joins the club. Voters should be embarrassed that Martinez will need to go down to his last year of eligibility to get in. Larry Walker was as dominant of a Montreal Expo as Vladdy Guerrero. Unfortunately for Walker, he went to Colorado after he left Montreal. The Coors Field effect is not all folklore. The ball really does travel better in the thin Colorado air, but all the signs pointing to his road splits being “better than average” are all thrown out the window because you know, Coors. Did you think anyone else got snubbed? 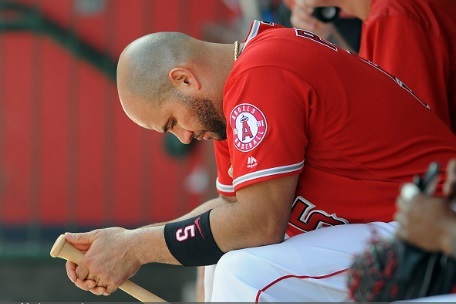 Trading The Untradeable Contract Of Albert Pujols – Can it be Done?